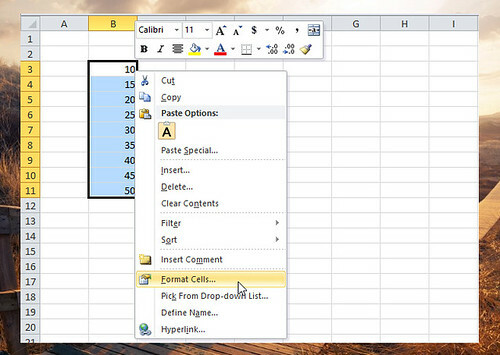 When we format cells in Excel, we change the appearance of the data inside the cells without changing the data itself. And in the previous article, we have already explained how to format numbers and text by formatting the cells. In this lesson you will learn additional cell formatting technique like adding borders into cells, changing the alignment and adding background color on the cell and more that you can apply to your project. 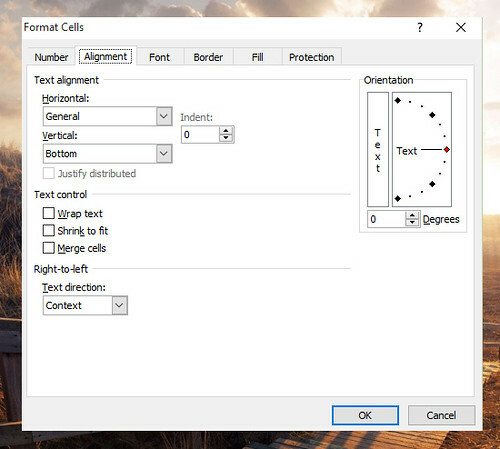 On the format cells window, there are 6 Tabs available, Number, Alignment, Font, Border, Fill and Protection. Let’s take a look one each one. 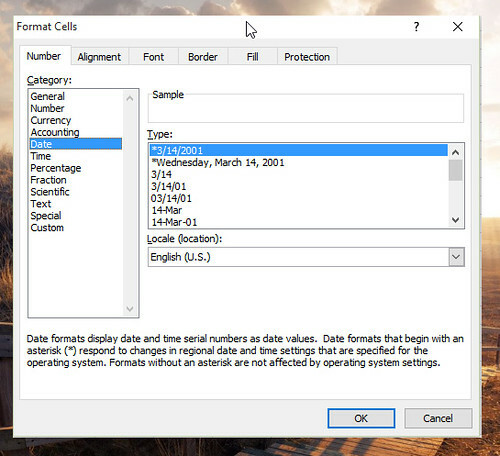 Here, you can format the cell that contains a number, like in the previous article, we teach you how to format numbers by adding currency symbol. In tab number you can also format the date and other numbers..
On the alignment tab, you change the alignment of the cell horizontally and vertically, shrink to fit, merge and also the orientation of the data in the cell. Here you can change the font styling of the selected cells, already covered in the previous article. 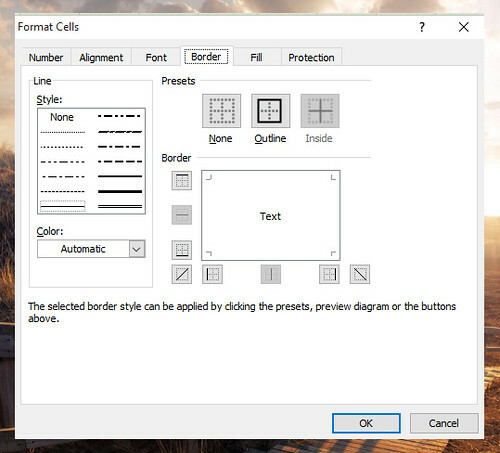 Adding a border in every cell makes it more presentable, especially if you print the worksheet. You can easily add border in any selected cells using format cells border tab. 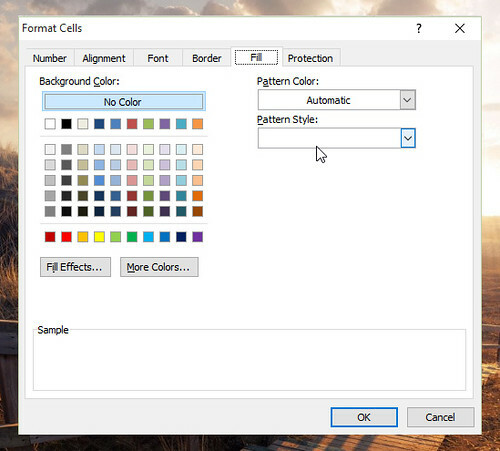 In the fill tab you can customize the look of your worksheet by adding background color of the selected cells. 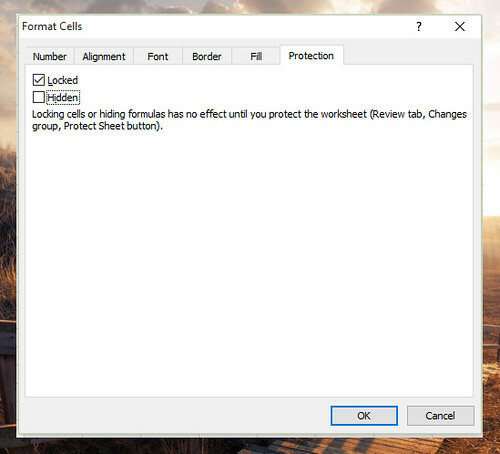 In the protection tab, you can check the Locked or Hidden checkbox, but it has no effect until you protect the whole worksheet. 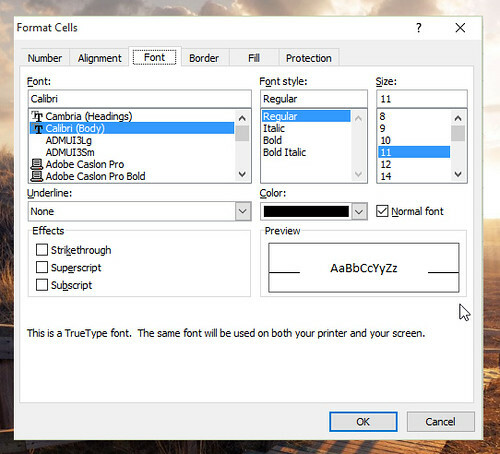 Please take note that all the controls in Format cell window are also available on the Ribbon, which you can easily access every time you need without performing right click. We just want to teach you the basic first and we will get into that as we go on to our topic and familiarize everything.